You decide who can access and edit what by defining roles and associating varied access rights to those roles. SOLID then records every change to system and customer data to create a full audit history, building integrated accountability. Create access groups where users are only able to see and action parts of the system relevant to their role or authority level. Data security mechanisms are built in layers from customer data encryption to firewall and network access controls. All changes to system and customer data are recorded and stored to create a full data audit history. Reduce the burden of login for your users, by enabling them to sign in with their Google account. 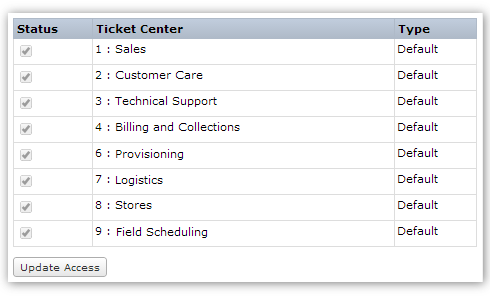 Quickly and easily create, terminate, suspend or reactivate users either individually or in bulk. Users’ access rights are based on their roles or authority levels, and can easily be granted, denied or altered at any time. Every action is recorded as part of your full audit history. See exactly who has what type of access and edit rights to maintain a high standard of data security and accountability. 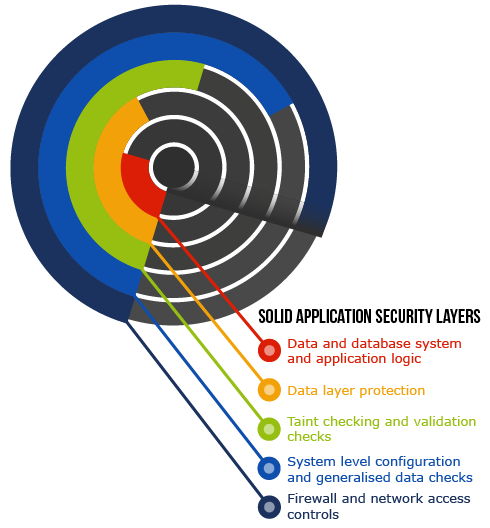 SOLID’s application security has been built in layers to ensure a great user experience coupled with data security. Access control mechanisms and a fully auditable change log means that your data remains under your control at all times. SOLID records every change to application settings and customer data to create a full audit history. You are also able to view an individual user’s account, login and access history. All access logs and audits are easy to find and view. Having such a detailed report of all activity within your key business operational platform promotes accountability and ensures you have full control over your data.